These are a classic, but are traditionally concocted with dairy and corn syrup. Here is a delicious healthier version I have come across for Vegan Caramels. Vegan Candies any other ideas you can come up with! Go to “It doesn’t taste like chicken.com” website for the rest of the instructions! These are super cute, healthy, easy and delicious! Cut each apple into four pieces, cut off the core, make a V shape slit in the outer edge of each 1/4 apple. Thinly slice a few strawberries, fill the V with peanut butter and place the sunflower seeds as teeth and the strawberry slices as the tongue. Create two(or 1 or 3!) eyes by attaching marshmallows to a dab of peanut butter and chocolate chips as the pupils! This would be super fun and easy for kids to make! It is actually crazy what you can do with Chickpea Brine! Okay, so this was in last years Halloween post, what what do you think of when you see a Candy Corn?!? Halloween just isn’t Halloween with out these tasty treats, and with this recipe, you can enjoy them without corn syrup, gelatin, eggs, beeswax, or artificial colour! 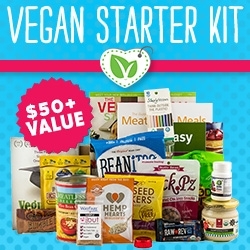 Go to “VegSpinz“ website for the rest of the instructions! FYI: What are some common non-vegan ingredients found in Candy? Thank you for tuning in, and HAPPY HALLOWEEN from Rhiannon!